Suitable A1 retail or A2 offices. Approx 120.25 sqm 1290 sq ft. 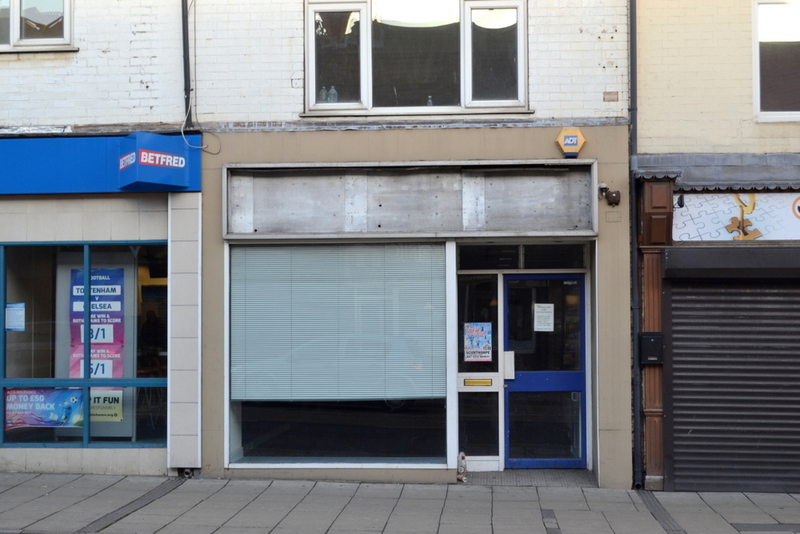 The subject property is situated in Scunthorpe which is the commercial centre of North Lincolnshire. Scunthorpe has a resident population of approximately 75,000 with industry, retail and amenities commensurate with it size. The subject property is situated on High Street which is the main retail area of the town. Slightly further to the east is the pedestrian area of the town encompassing The Foundry and Parishes shopping centre which has integrated the town with leisure, parking and traditional retail. The subject property has frontage to High Street with this area of the town having retail, leisure and food outlets. High Street at this location is served by Local Authority pay and display car parks with one immediately to the rear along with on street parking on the side streets. The accommodation is of traditional construction with outer elevations of brick beneath tiled and flat roofs. The accommodation is set out on ground floor and part of the first floor. The previous occupier was a major insurance company. Modern shop front with side single entrance door. Ground floor with false ceiling, fluorescent lighting, plaster and emulsion walls and carpeted. The ground floor is divided into retail, office, kitchen and WC with at first floor office, store room and WC. Loading access from the rear. The ground floor is entered in the rating list as Shop and Premises. Rateable value £7,200 per annum. The rateable value is below the Government threshold for small business rate relief. An ingoing tenant may be able to claim 100% exemption. Interested parties are advised to contact the Local Rating Authority as to whether any rate relief is available. It is understood that gas, electricity, water and drainage are connected to the subject property. The unit has a gas fired central heating system along with air handling unit in the shop. Services have not been tested and prospective occupiers are advised to check the adequacy of the supply for their intended use. EPC (D98). The subject property is available by way of an occupational lease the terms of which are negotiable with the tenant being responsible for internal repairs, decorations and external decorations to usually painted surfaces. The ingoing tenant will be responsible for all outgoings, services and landlords legal costs on lease preparation.